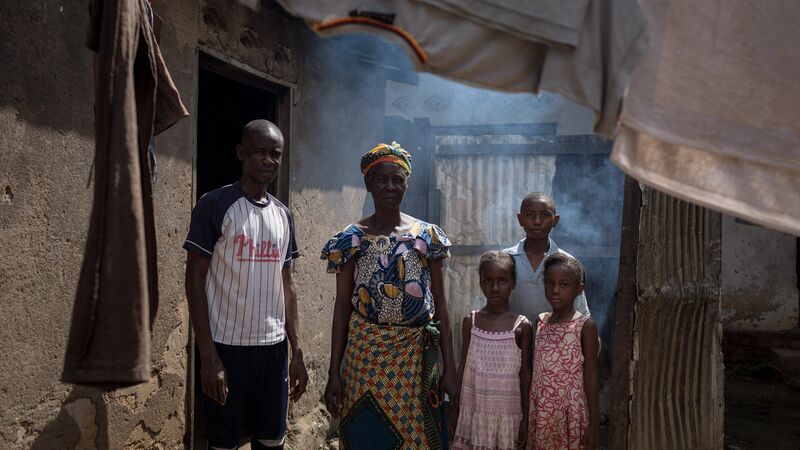 NRC&apos;s overall aim is to help people forced to flee. 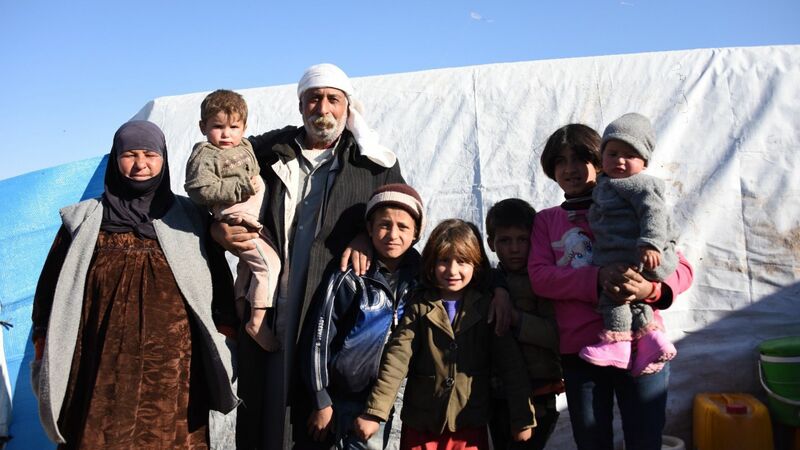 We help people cover immediate needs and find lasting solutions to displacement. 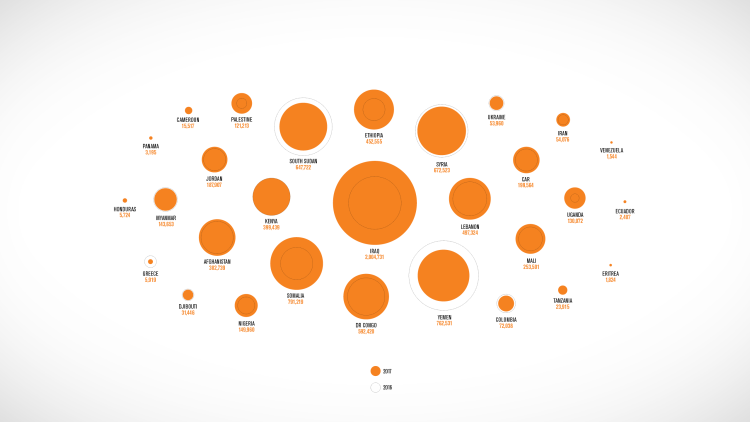 Download our full annual report here. We work to find innovative solutions on how to efficiently deliver aid to more people in need. 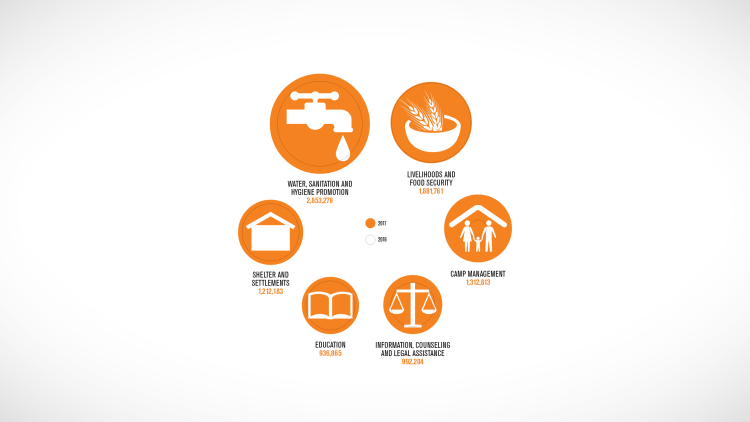 Our teams reached more people with emergency assistance in hard-to-reach areas. 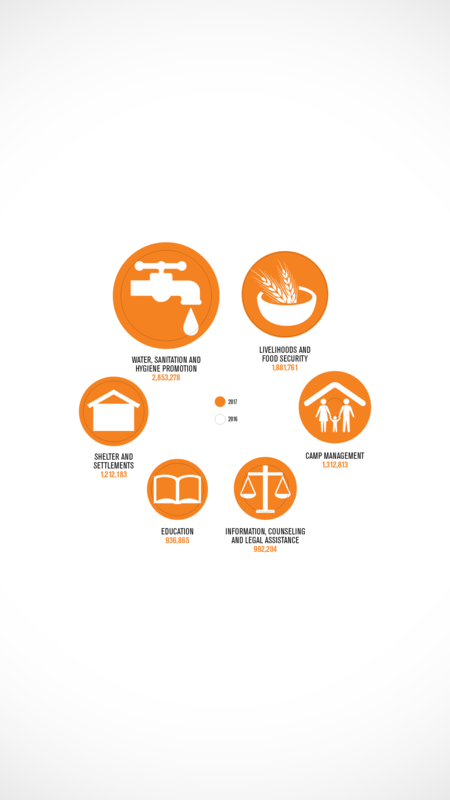 NRC helped nearly 9 million displaced people last year – in more hard to reach areas than ever before. Today we want to thank all the people who support us in our work! 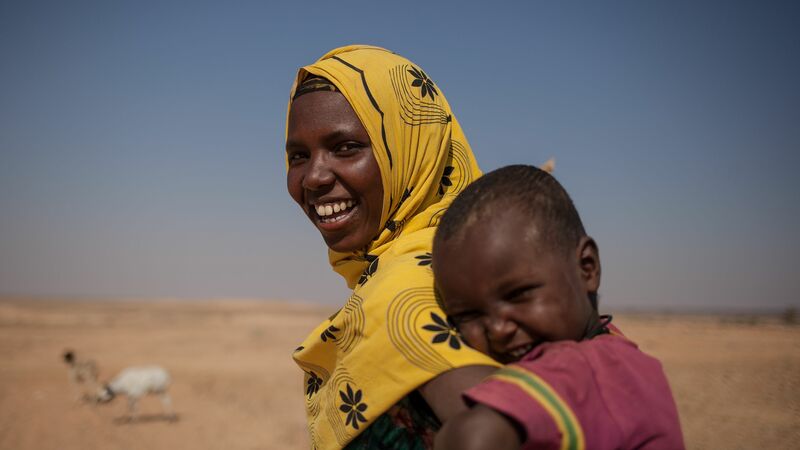 NRC was part of an international effort that helped to avert or reduce mass starvation in Somalia, South Sudan, Yemen and Nigeria. This was no small feat. In areas where the scale of the emergency affected our in-country operation’s ability to respond, we sent additional staff to help on a temporary basis. 27 experts provided short-term assistance in 12 countries. Our emergency response teams handed out supplies and food to Afghans returning from Pakistan in the middle of winter. In Iraq, they helped people fleeing Mosul. Iraq was the country where we helped most people, over two million. One of the people we assisted was 15-year-old Mohamed. 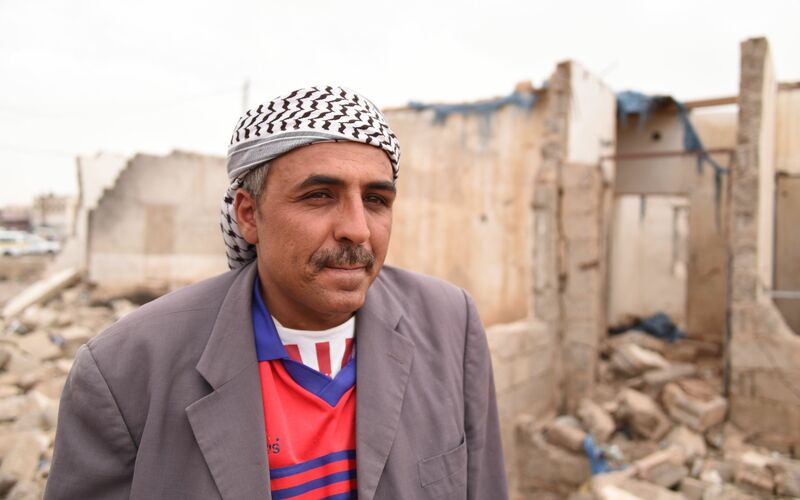 He fled from Mosul, where he had not attended school for two and a half years. Mohamed dreams of becoming a football player, or maybe a doctor. 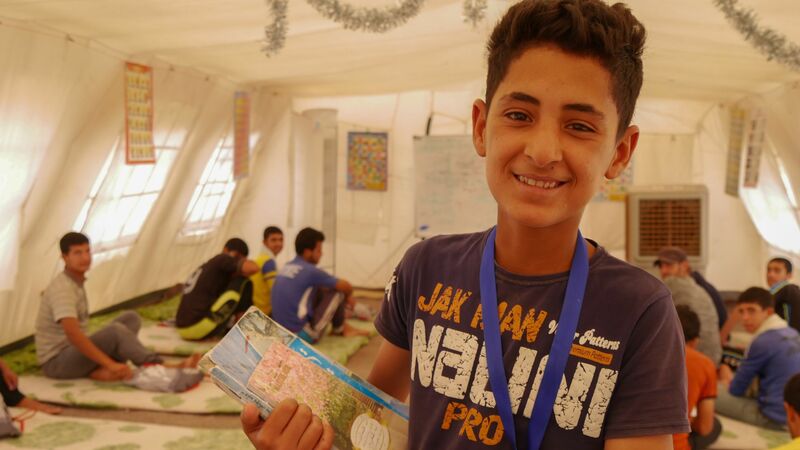 He is attending school at NRC’s support centre in Khazer camp. In protracted crises, we supported lasting solutions such as integration through livelihoods and education. In the large refugee-hosting countries of Ethiopia, Kenya and Uganda, we have helped displaced people find new livelihoods. In Colombia, our teams supported the re-integration process following the peace agreements. 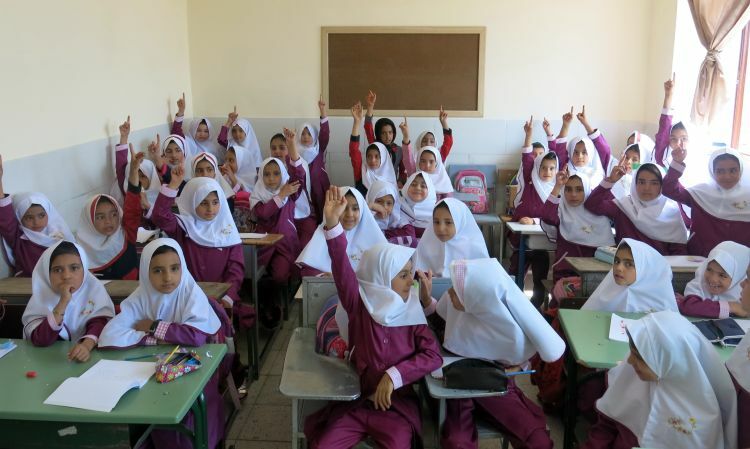 In Iran, we enabled education for Afghan refugees who have been displaced for decades. 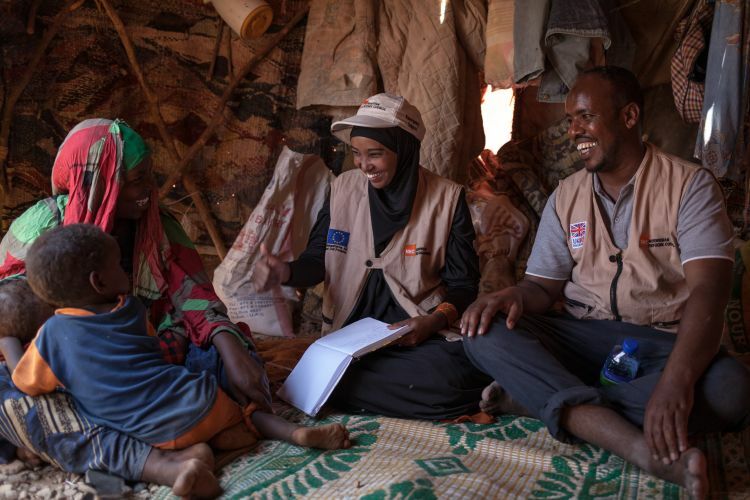 In Kenya, we informed Somalian refugees about living conditions in their home country, so they could make well-informed decisions on going back. We also spoke up against preliminary and forced returns in countries such as Afghanistan and Syria. 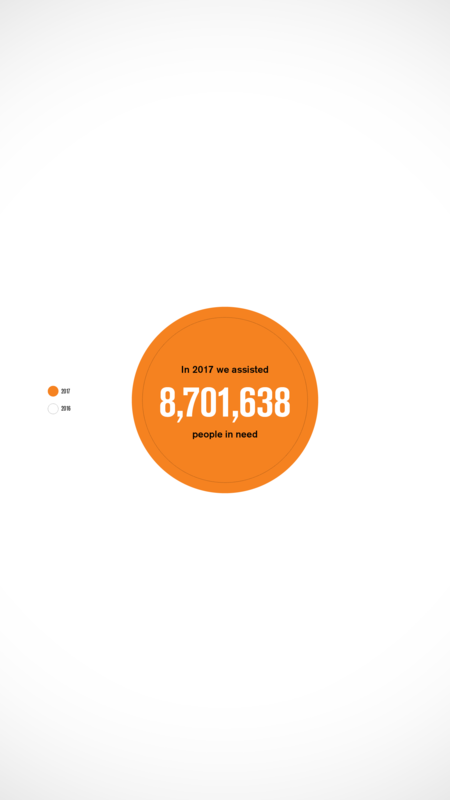 Seven years into the war in Syria, the scale of humanitarian needs across the country remain overwhelming. We were one of few agencies operating across the whole of Syria. Against a backdrop of intense fighting and large-scale forced displacement, we distributed tents, food, blankets and hygiene kits to meet people’s basic needs. We worked to provide transitional and longer-term assistance to people in need. 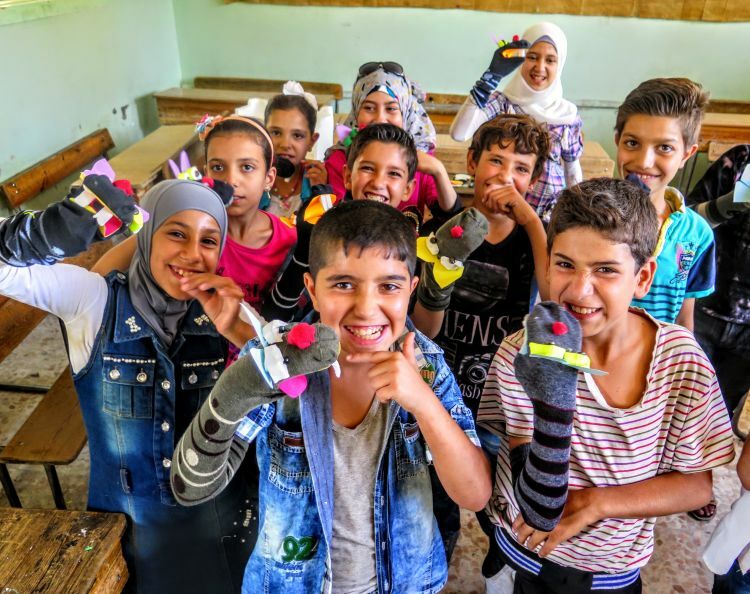 For example, we supported education for out-of-school children and promoted civil documentation due to the need for renewed documentation after a widespread destruction of civil registries. Without a political solution to the war, displacement will continue and people in Syria will bear the brunt of the hostilities. We are expanding our response in the Lake Chad Basin. We established a new programme in Cameroon, and we are opening up a regional office in Dakar, Senegal. Additionally, our teams assessed the need for assistance in Libya, and will initiate operations there in 2018. We handed over our operations in Burkina Faso to other INGOs and NGOs due to a decrease in funding allocated to refugees in the country. We promoted the rights of displaced people, advocating for better reception conditions in Greece and being vocal in condemning the attacks on civilians in Yemen. 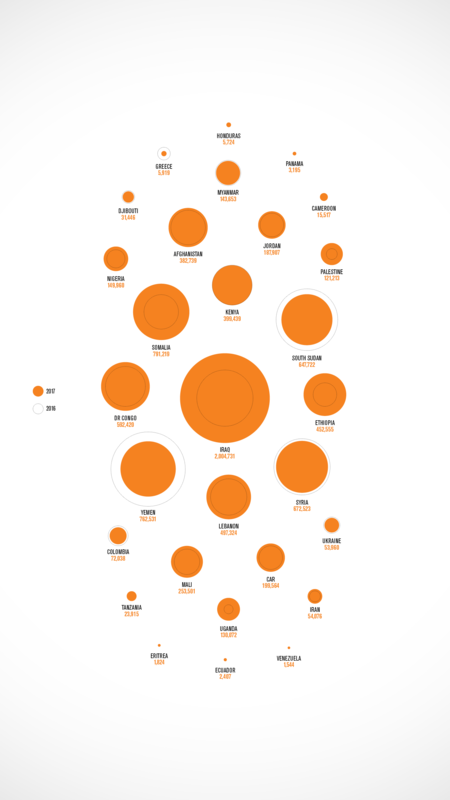 Yemen is currently one of the world’s largest humanitarian crises. Entering 2017, two million Yemenis remained displaced from their homes, while 18.8 million were in need of humanitarian aid. 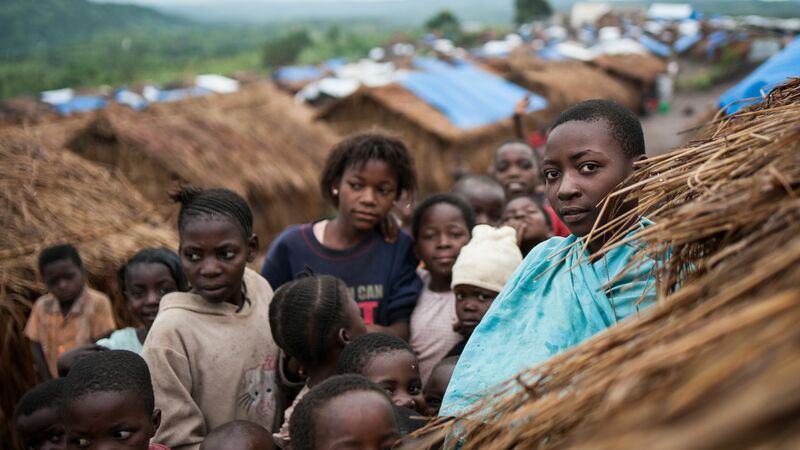 Damaged infrastructure, a crumbling economy and bureaucratic constraints continued to intensify the crisis and make it a challenge for humanitarian organisations, including NRC, to reach out to people with lifesaving aid. Secretary General Jan Egeland after visiting Yemen in May 2017. NRC has been one of the most vocal actors regarding the lifting of the Hodeida port blockade and our efforts contributed to increased international attention. We also provided food and cash, helping people to cover basic needs and reducing the risk of exploitation. 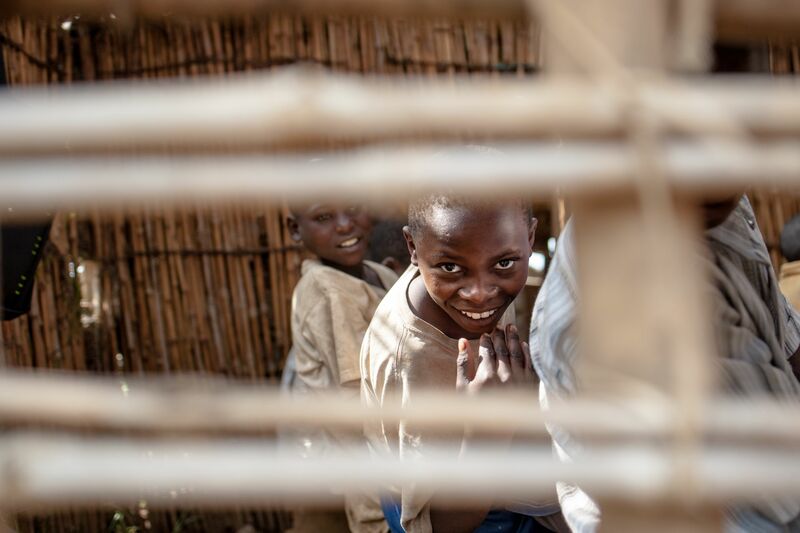 To prevent disease such as cholera, our teams provided clean water, latrines and promoted good hygiene practices. Our expert deployment capacity, NORCAP, helped improve international and local ability to prevent, prepare for, respond to and recover from crises. 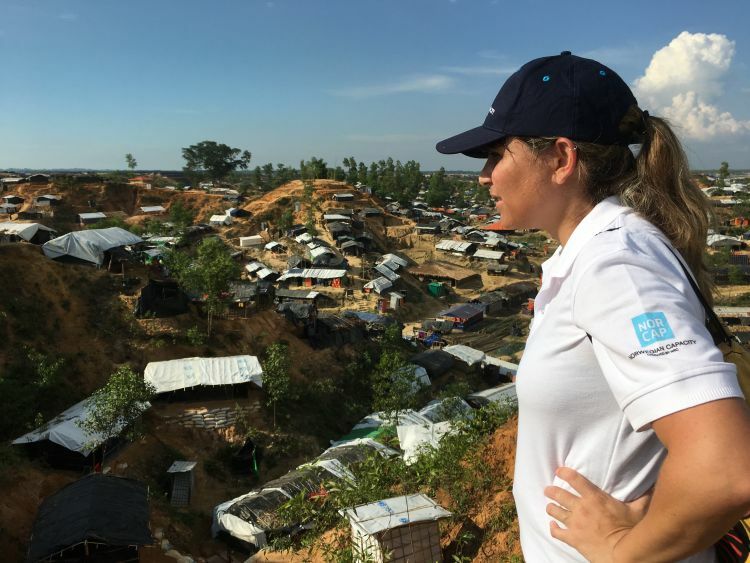 When more than 600,000 people fled Myanmar to seek refuge in Bangladesh, we deployed 24 experts to assist national and local stakeholders to set up camps and provide shelter in Cox’s Bazar. Our Internal Displacement Monitoring Centre (IDMC) reported on and advocated for people displaced within their own country. 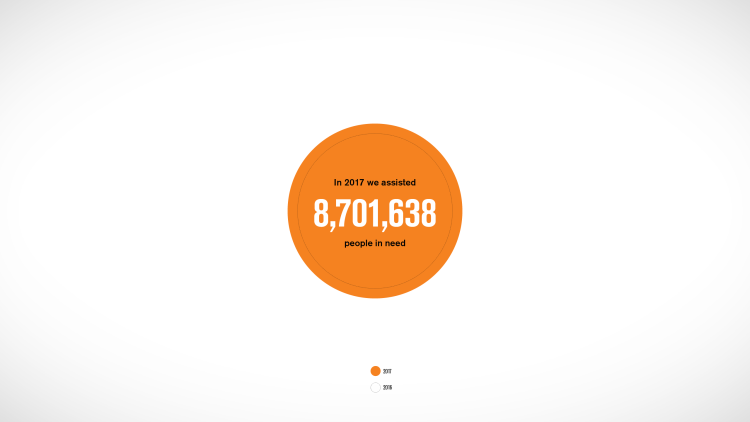 We have reached more people than ever before thanks to our 14,450 humanitarians, 7,450 of them employees, working in 31 countries. Our employees work in high-risk environments. It is our duty to take care of our staff and make sure they are reasonably safe. We are therefore improving and expanding our work on security risk management. We continuously strive to create a culture of safety in the organisation, where our staff can raise their concerns among other means through staff surveys and discussions. As a growing organisation it is important to, at the same time, ensure quality in all our work. To achieve this, we have invested in reinforcing our support functions. We also constantly evaluate our efforts to learn from our experiences and to adjust our approaches and strategies. 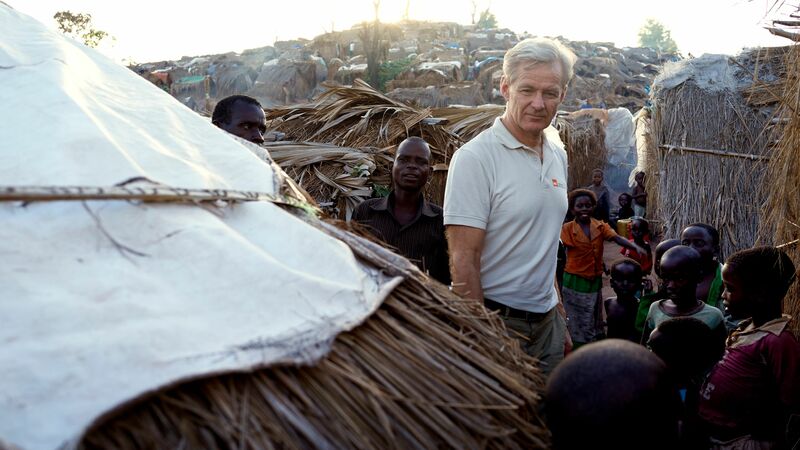 NRC&apos;s Secretary General Jan Egeland. Entering 2018, we have new strategic objectives for the coming three years. We work in a constantly changing humanitarian environment where growing needs remain unmet, international norms are under pressure and the humanitarian sector is changing with rapid technological development. We will expand our work in neglected crises, assist more people in hard-to-reach areas and promote lasting solutions. Additionally, we will strengthen integration among our programmes, all while including protection and cash assistance in our operations. 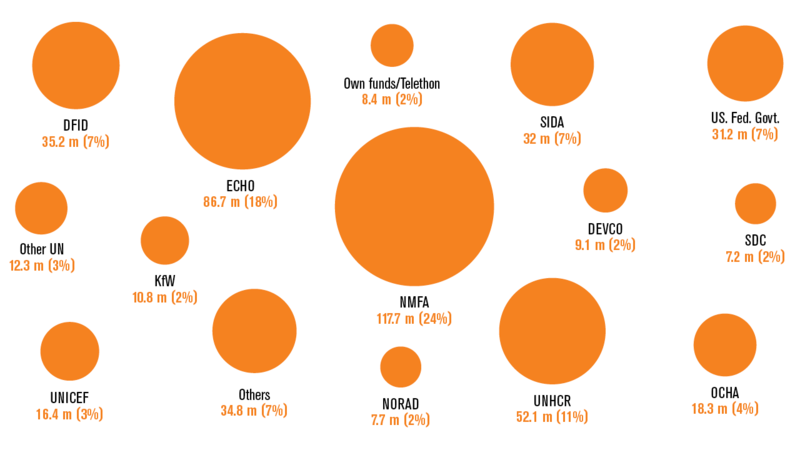 Our main ambition is to be the leading displacement organisation serving people that are hard to reach.